Data for Experiment 1 of Magid, Sarkol and Mesoudi (2017) Experimental priming of independent and interdependent activity does not affect culturally-variable psychological processes. Royal Society Open Science. See README file for variable descriptions. Data for Experiment 2 of Magid, Sarkol and Mesoudi (2017) Experimental priming of independent and interdependent activity does not affect culturally-variable psychological processes. 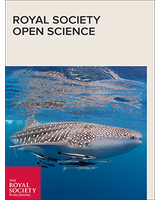 Royal Society Open Science. See README file for variable descriptions. Cultural psychologists have shown that people from Western countries exhibit more independent self-construal and analytic (rule-based) cognition than people from East Asia, who exhibit more interdependent self-construal and holistic (relationship-based) cognition. One explanation for this cross-cultural variation is the ecocultural hypothesis, which links contemporary psychological differences to ancestral differences in subsistence and societal cohesion: Western thinking formed in response to solitary herding, which fostered independence, while East Asian thinking emerged in response to communal rice farming, which fostered interdependence. Here, we report two experiments that tested the ecocultural hypothesis in the laboratory. In both, participants played one of two tasks designed to recreate the key factors of working alone and working together. Before and after each task, participants completed psychological measures of independent–interdependent self-construal and analytic–holistic cognition. We found no convincing evidence that either solitary or collective tasks affected any of the measures in the predicted directions. This fails to support the ecocultural hypothesis. However, it may also be that our priming tasks are inappropriate or inadequate for simulating subsistence-related behavioural practices, or that these measures are fixed early in development and therefore not experimentally primable, despite many previous studies that have purported to find such priming effects.